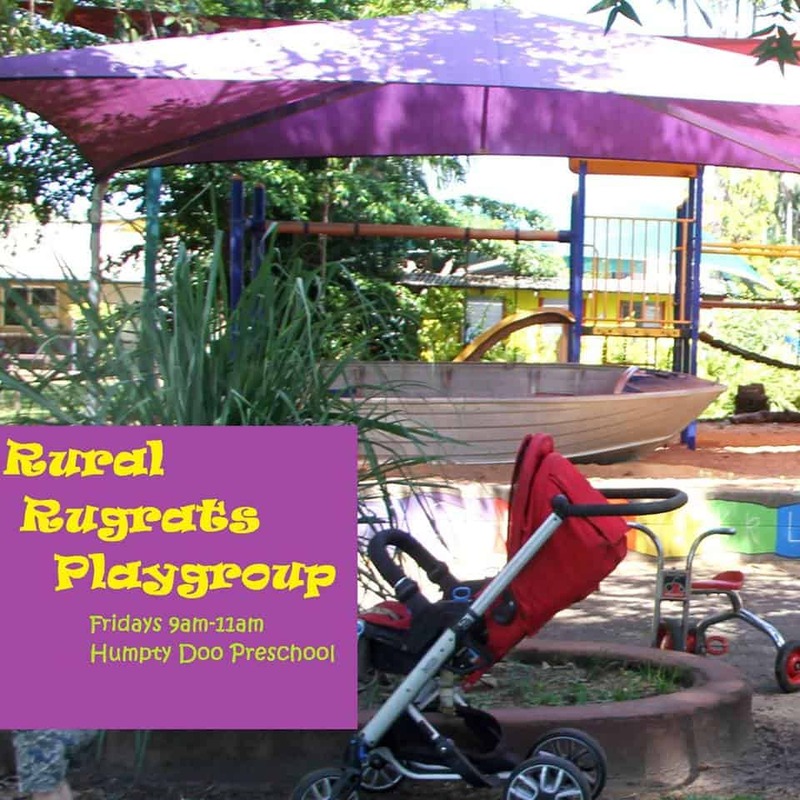 There are so many different playgroups around Darwin, Palmerston and the Rural area. Darwin Family Life has complied many of the ones on offer. 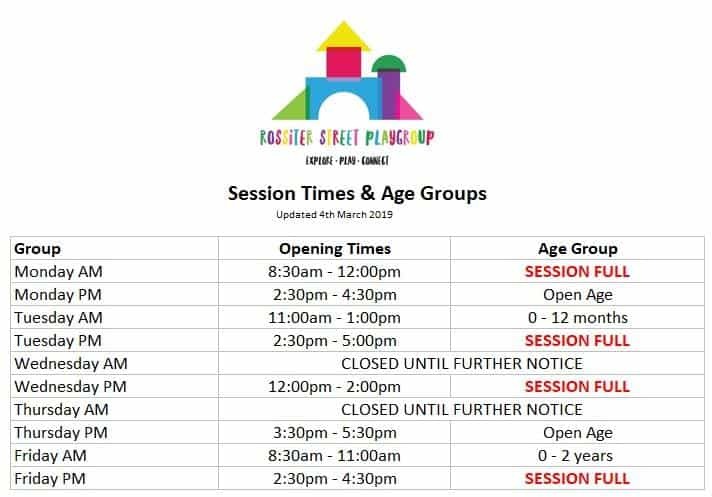 As playgroup information can change quickly we suggest you contact the group prior to arriving to confirm the details are still current. Please contact info@darwinfamilylife.com.au if you would like to feature on this page. 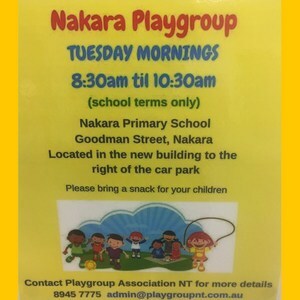 Other Info: this playgroup is for children who have delays in their development – they may or may not have a diagnosis of something. It is run by 2 teachers and 2 special education support officers. Other siblings are also welcome. 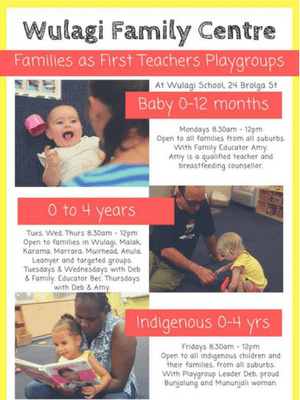 Other Info: Wulagi Family Centre Playgroup is a Families as First Teachers playgroup. 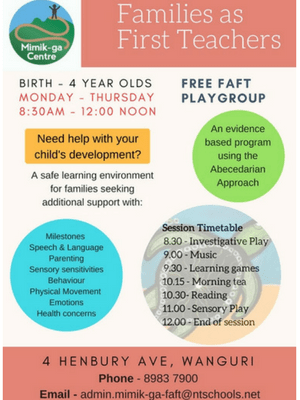 These playgroups focus on empowering and supporting parents and carers to develop children's thinking, language, physical, social and emotional skills in a relaxed and friendly setting. 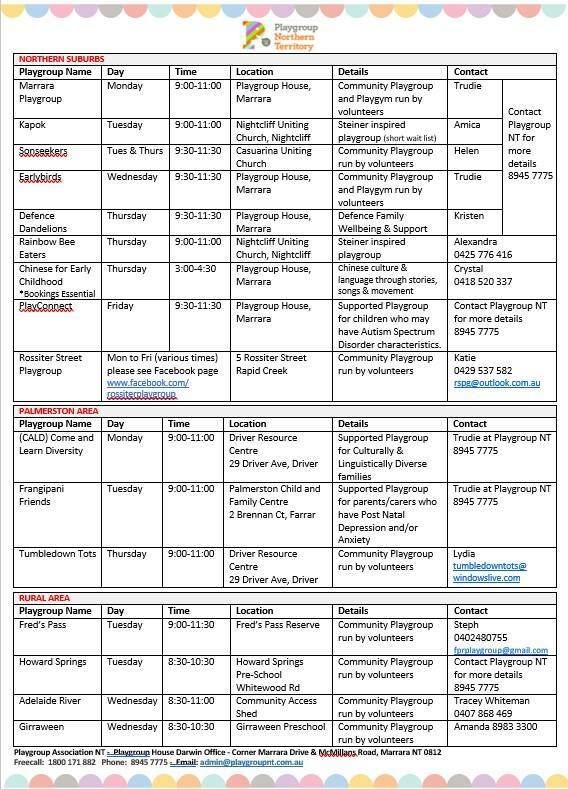 The Wulagi Family Centre Playgroup is extremly popular so please check their website for attendance criteria. 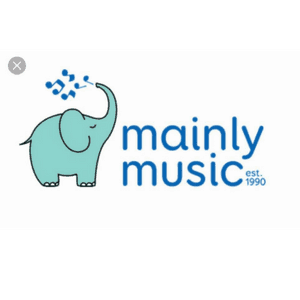 Other Info: Each mainly music has been designed for enjoyment. Weekly sessions, during the school year, are full of fun, educational music and musical activity to grow and develop your child, followed by something to eat and something to play with, plus time for you to eat and chat! 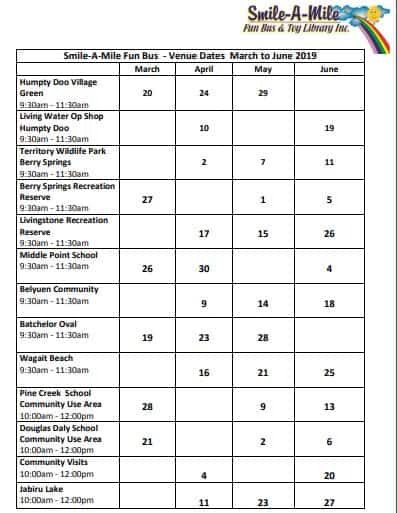 $5 per family per session. 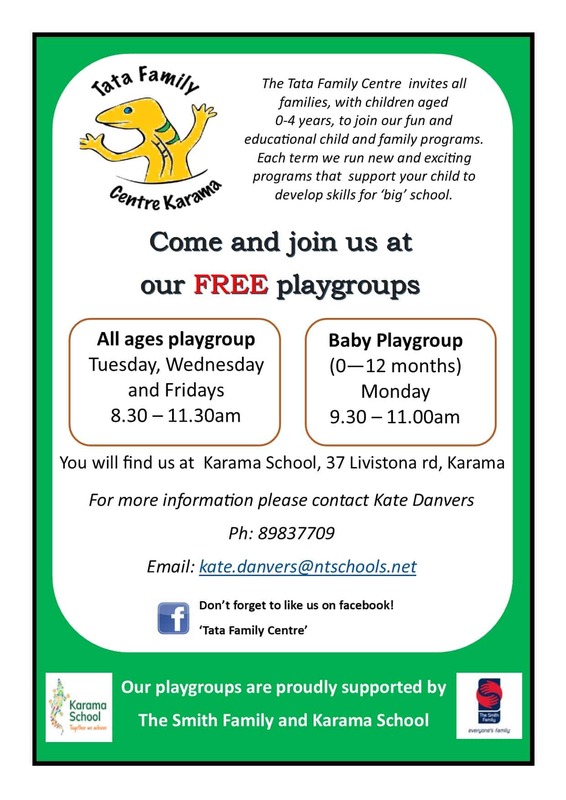 Other Info: This playgroup is specifically for families with Multiple birth children (twins, triplets or more). 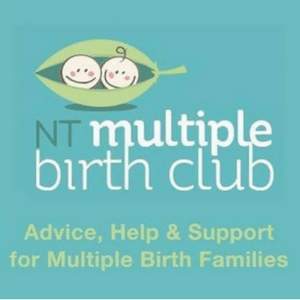 Expecting Multiple birth parents and siblings are also welcome to attend. $3 per family and please bring a piece of fruit to share for morning tea.